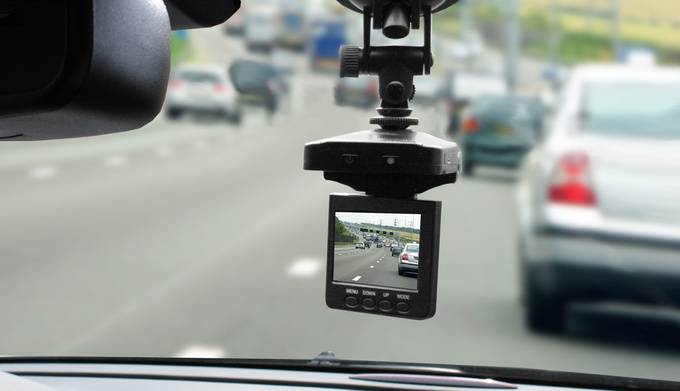 Totalcar Magazine - Tech - Will the dashcam protect the driver? Will the dashcam protect the driver? Dashcams record what goes on in traffic nonstop. They’re getting increasingly popular the world over as the recordings can serve as evidence in case of accidents or other disputes. The cameras known as dashcams are simple devices. The small gadgets placed on the windscreen or the dash usually stay in place with the help of a suction cup or a mounting console and do not require much TLC but might bring great reward. They start recording automatically as soon as the car starts and store the recording on an SD card, at times overwriting the content depending on its size and resolution. They are charged by the electric cigarette lighter or a USB connector, so the only time you’ll have anything to do with it is when you download data from the card. They are unfussy in trustworthily recording what goes on in front of you on the roads at all times. The recordings made can be used in three ways: in court, for example, as evidence, or in case of claim settlement with your insurance company. The third way is uploading the content on a video sharing site much to the delight of others. There are plenty of examples of all three abroad, in Hungary, however, neither the society, nor the legal environment seems to be ready to embrace the cameras yet. It says a lot that in Hungarian the device goes by several names ranging from onboard camera to auto DVR. Some refer to it as dashcam. The first known dashcam video is associated with a New York fire chief, John Kenlon, made by a camera fastened to the front of his car. The recording made on the 24th of April, 1926 shows Kenlon hurrying to a warehouse in East Manhattan. The black and white silent footage holds no surprises, though, the most exciting action is Kenlon driving on the pavement full of pedestrians. Many decades had gone by till the onboard camera was invented again. It took about 50 years after the Manhattan fire for the dashcams to spread on the streets. Strangely enough, the ball was set rolling by the police; in some countries patrol cars were equipped with the cameras to record how the policemen were doing their work. Then came the ’90s and the emergence of a whole new genre of TV shows built around footage of real car chases, accidents, and other interesting incidents. Millions of viewers were kept glued to the screens by the bizarre real life situations, which up until then were considered action movie material. The popularity of these shows paved the way for the dashcams, but it took a few more years and of course the internet for the device to become everyday commodity. Today, dashcam recordings are more popular than ever. The file sharing sites on the internet are full of such videos recorded on the streets of different countries, but the pull of the genre is completely different from that of the earlier police footage. People have gotten tired of the identity checks of drunken drivers and car chases. Today, the offerings are much more varied. Watching the extreme traffic recordings you can’t help but think that nothing in the world could ever happen to you that haven’t seen a recording of already. We’ve seen people falling out of crashed cars then leave the scene on foot, pedestrians pretending to be run over, drivers getting into a fight after an accident, and lots more. Anything you can imagine right now has been recorded and shared on some site already, believe me. All you have to type in the search field of You Tube is „daschcam” + the key word of your choice. The most extreme case of a dashcam recording going viral is connected to the meteor slamming into Russia in February, 2013, which was recorded by several onboard cameras. The recordings were of great use for the researchers and made the incident the most well-documented meteor fall ever. Will it really protect you? Sharing a recording on the internet is only one way of using the footage. Their primary function is to protect you, coming in pretty handy when you need evidence making your point. If you take a look at the videos of this kind, it will strike you that most of them were made in Russia. That’s no coincidence, of course. It says a lot about the traffic culture of Russia that they share the same rate of lethal accidents per person as India and Mozambique, and rate only slightly below Afghanistan on the list. Violent disputes, corrupt policemen, hit and run accidents are common, which prompts the insurance companies to urge the clients to use dashcams as some kind of constant digital witness. In Russia the gadget is so wide-spread that by now its accident and crime preventing power is actually demonstrable. The psychological background of its success is only logical: if the drivers get used to being watched all the time, they’ll sooner or later become more careful out on the road. They’ll learn that running a red light is too risky, as they could enter the field of vision of another car’s dashcam any time. Cars equipped with dashcams all over the place would no doubt hold back hell-raisers. The direct use of the dashcam is of course much more tangible. It will do you a huge favour if you crash with an idiot. Many of the recordings show such drivers calm down as soon as they spot the camera behind the windscreen. This is one way in which the camera protects you, but it’s also useful in court if two parties cannot reach an agreement concerning damage and legal steps are being taken. The party who owns a recording of the incident can easily prove their point. At least in theory. In practice, all is not that simple. While the internet is full of dashcam recordings, hardly any were made in Hungary. Maybe the trend just hasn’t reached us yet, you might think, but the reason in fact is that the legal judgement of such recordings is uncertain over here. It is muddy, to say the least. Not even the competent authorities were able to give me precise information on the handling of dashcam recordings. There are no specific regulations that apply to the matter, but at least the making of such recordings is not forbidden; anyone is free to record anything from within their car. The public sharing of such videos, however, is somewhat more complicated as it is forbidden to publish recognizable personal data, such as number plates or the faces of pedestrians. Such data must be pixelated before uploading your video to any site. What you can achieve in Hungary using such a video as evidence in court is uncertain. We’ve asked several legal experts, but none of them knew of a single local lawsuit including a dashcam recording as evidence, and the same applies to the insurance companies. It still doesn’t mean that getting yourself a dashcam makes no sense, just be aware that it takes some more time for a working legal environment to come about to make the most of it. How much does this constant attention cost? 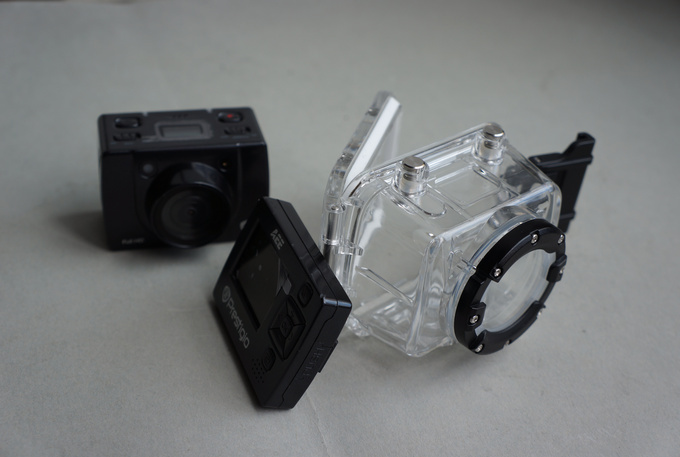 An onboard camera made specifically for cars and all of its accessories won’t break the bank. You’ll find lots for offer on eBay and other similar auction sites. 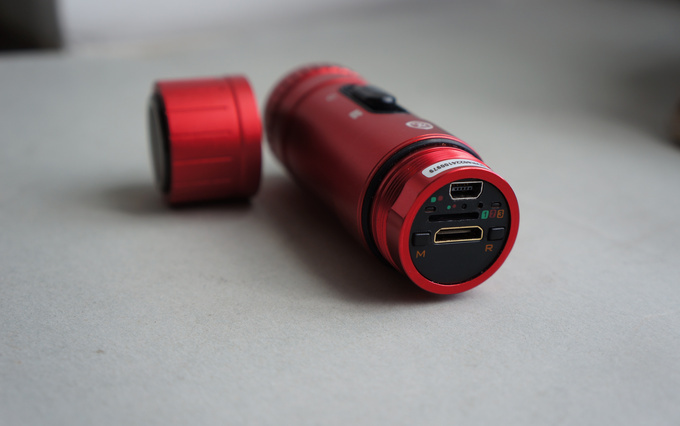 Their prices differ according to the capabilities of the camera, like the resolution (HD is the most common, but full HD is on the rise, too), its reaction to sudden changes in light, or other criteria, such as whether it assigns GPS coordinates to the recordings and has a built-in battery or display. You can get operating, rather primitive models from Hong Kong for 20-30$, the more acceptable ones come between 40-60$. The useful models to choose from on the Hungarian market start at 85-100 €. What's the dashcam-situation in your country? Bury your sinful thoughts, don’t listen to your instincts, forget about our advices. 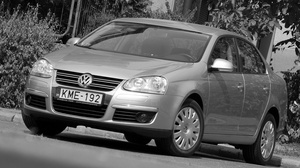 If you listen to reason, you should hear it whispering that the shrunk Passat is phenomenal.